I love food. I love drawing food. 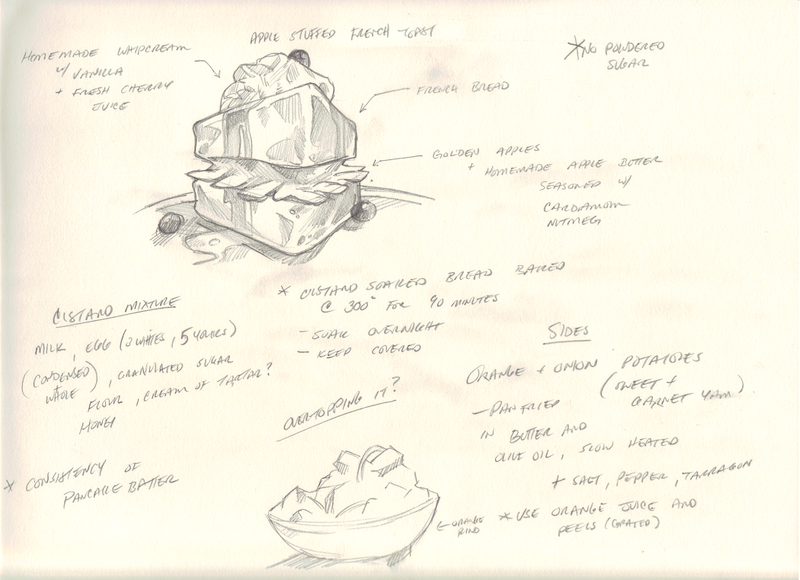 In fact, I love drawing recipes. 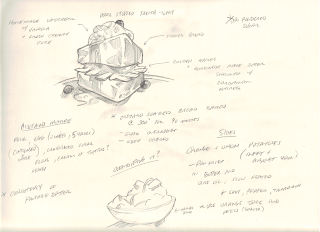 More of my recipes start out as sketches like this than some might guess. The best part is being able to eat the results. I will be attempting to create a real life edible representation of this piece of art tomorrow!